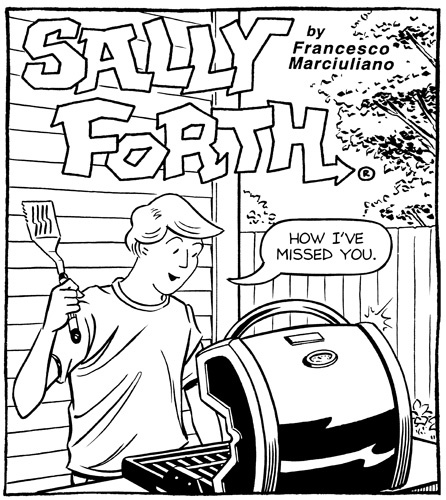 For example, Here’s today’s Sunday strip (June 9, 2013) as it appears on Daily Ink and in many papers. 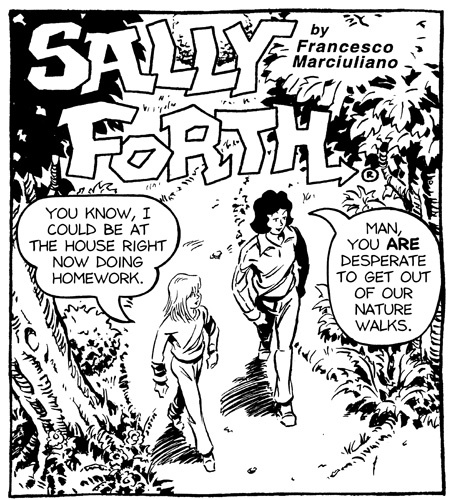 And here is the black and white version with the drop panel. 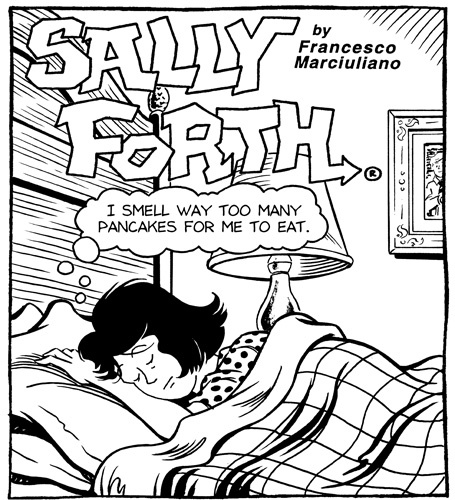 For those readers who haven’t seen them, here’s a spotlight on last month’s Sally Forth drop panels. Side note: They’re black and white as I don’t have access to the color files. 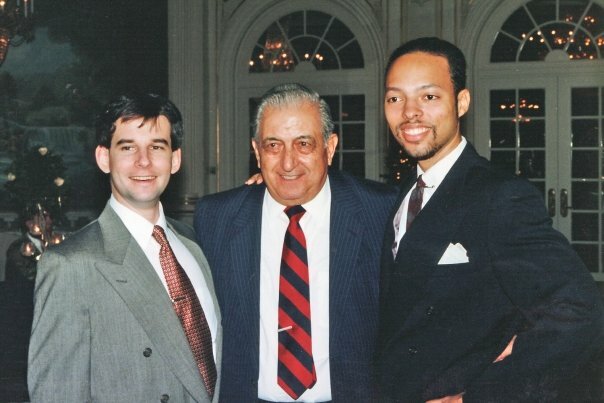 The standardized system to format strips for newspapers was devised years ago by King Features’ Comic Art Production Supervisor, Frank Chillino (1920-2007). It helped streamline the process saving countless hours of production time (and money) for King. 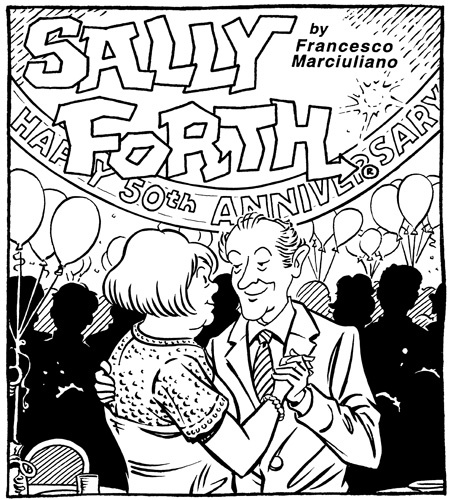 This entry was posted in Francesco Marciuliano, King Features, Sally Forth and tagged Drop Panels, Francesco Marciuliano, Frank Chillino, Sally Forth. Bookmark the permalink. Why is Nona’s hair blonde today? I think it was the stress of last week’s storyline. But seriously – I color the Sunday page, but not the dailies. I’ll check with the powers that be to see if I can’t get that fixed. Great to see these, I started noticing the extra panels when I traveled & read the papers in some of those cities & noticed that some strips had extra panels in them. Not that it makes for missing any of the story line, but they do add a little something in most cases.